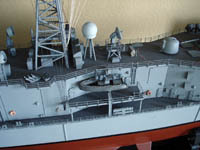 Patrice is building the Richelieu as she appeared in 1941, and hopes to have the project completed by the end of 2005. 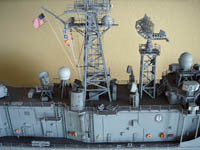 The ships four propellors are each connected to an individual motor, connected in pairs to two home made speed controllers. 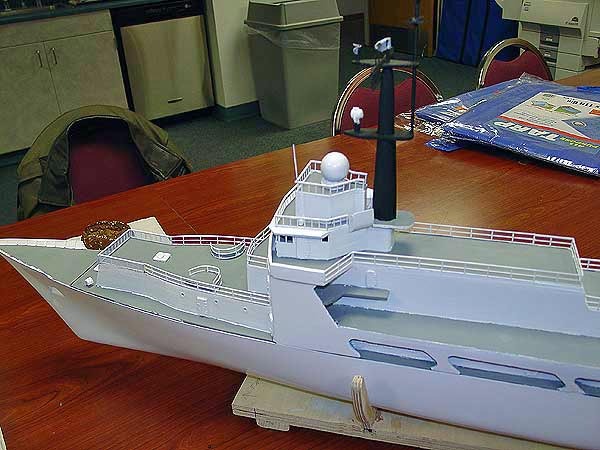 He started the project in 2003, and will be including many working features, including main and secondary batteries, radar, sound modules, lights and an electric water pump. 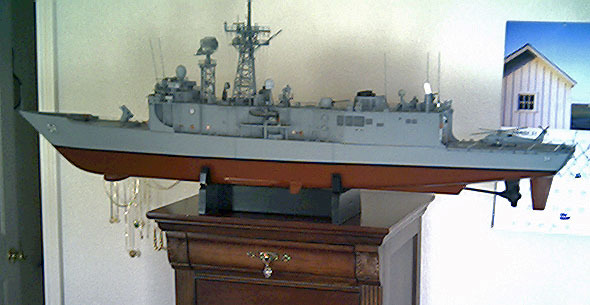 As we get more photos of this fine model, we will post them. 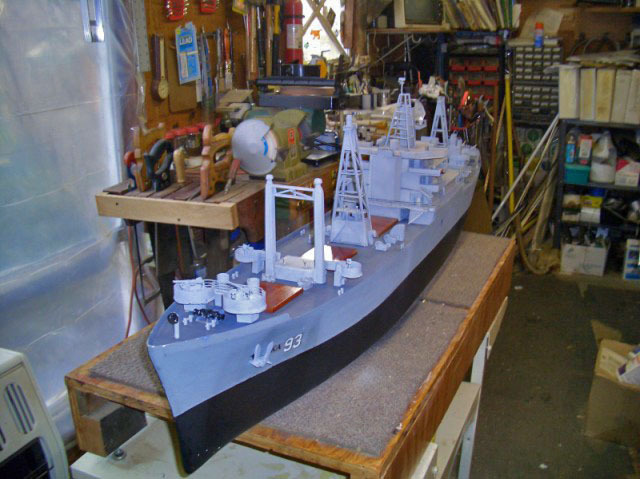 Frederick is scratchbuilding this Perry class frigate, starting with a basswood hull, covered in polyester resin. 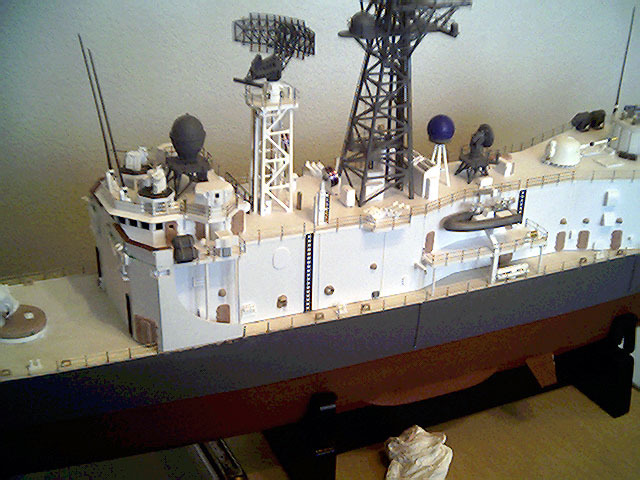 He is also casting his own detail parts from scratchbuilt masters. 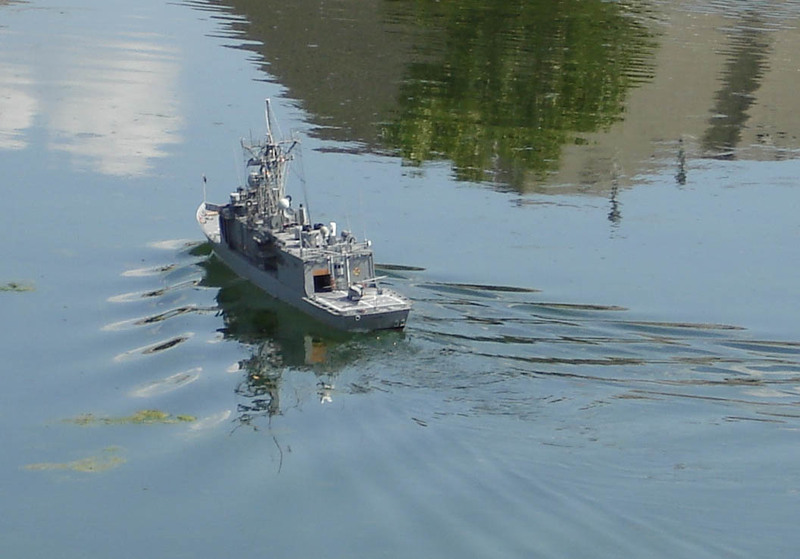 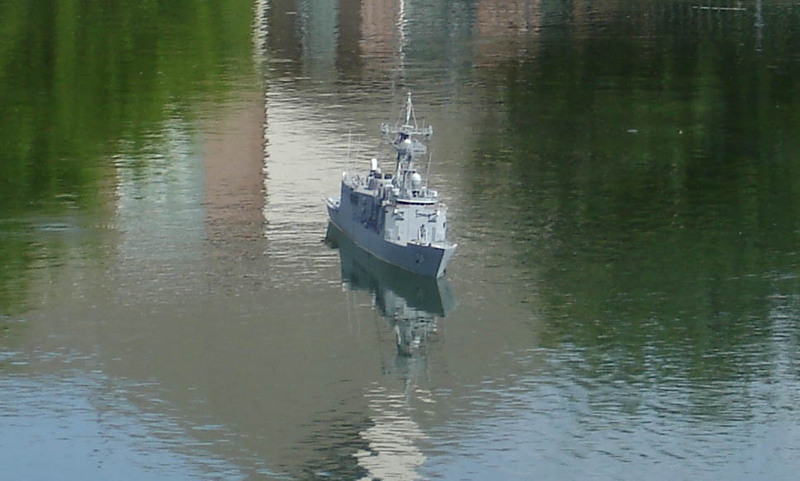 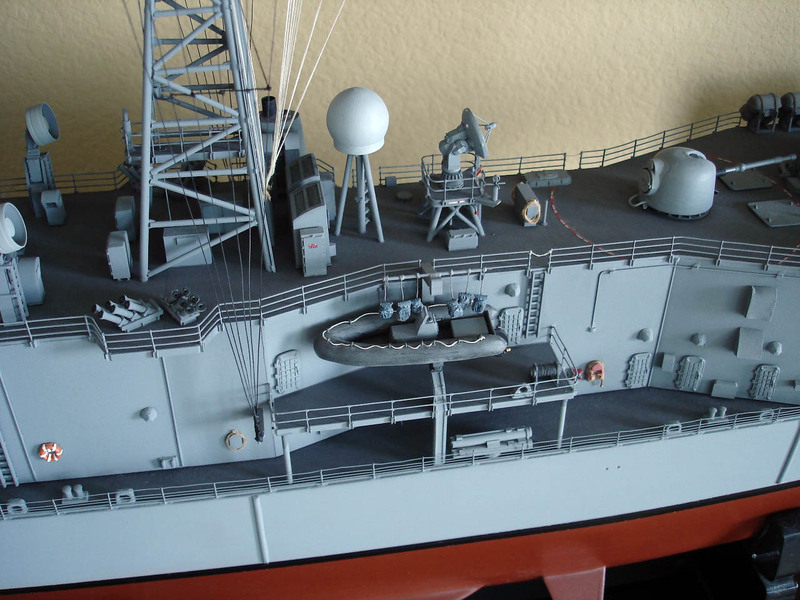 Markus Schott's Italian Hydrofoil Missile Craft Sparviero (P 420) in scale 1/72nd scale. 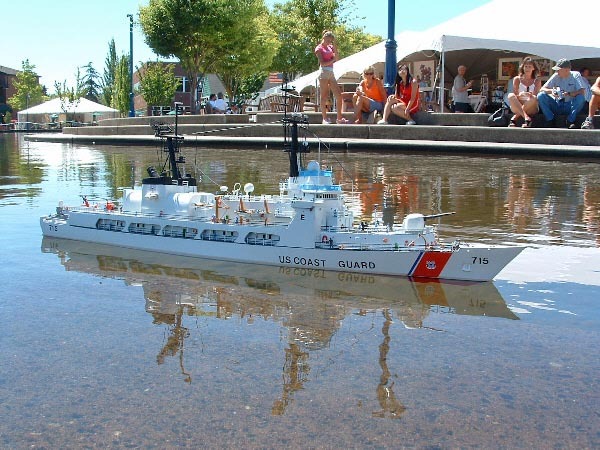 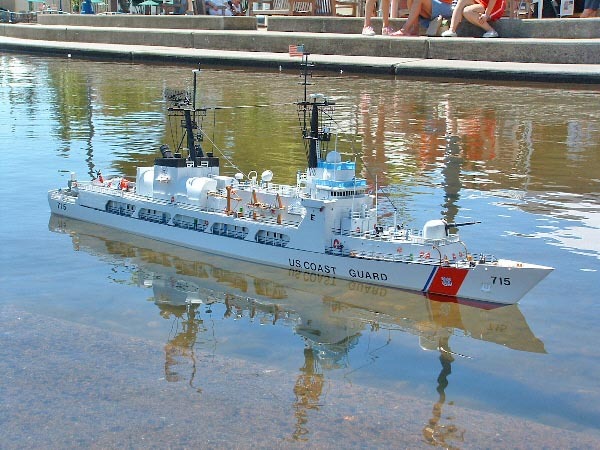 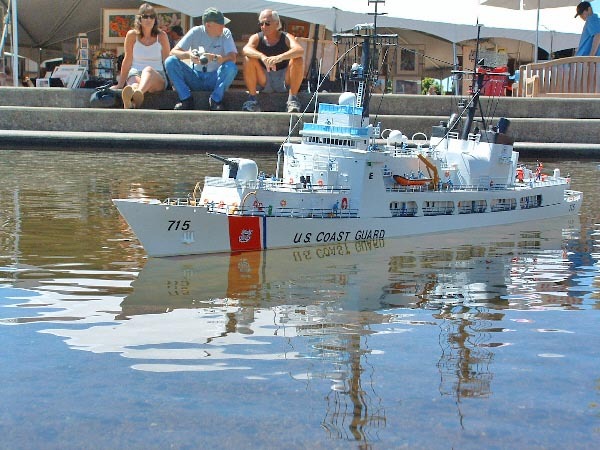 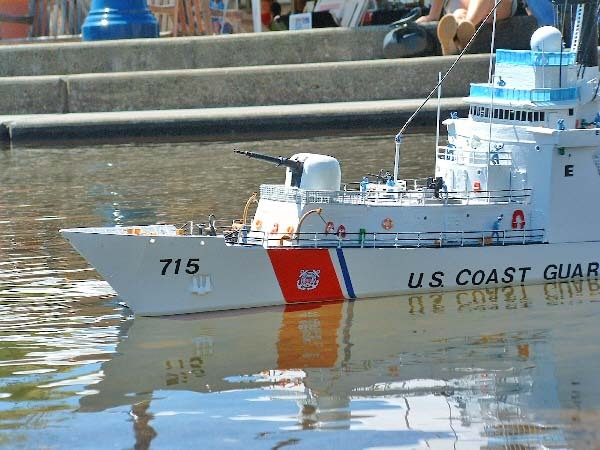 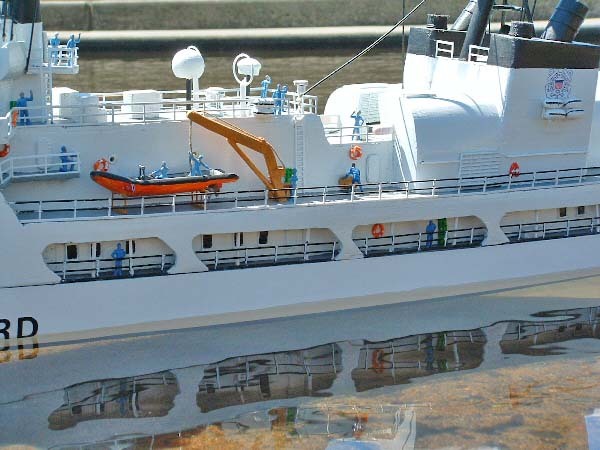 Don MacDonalds USCG Hamilton (WHEC-715) in 1/96 scale. 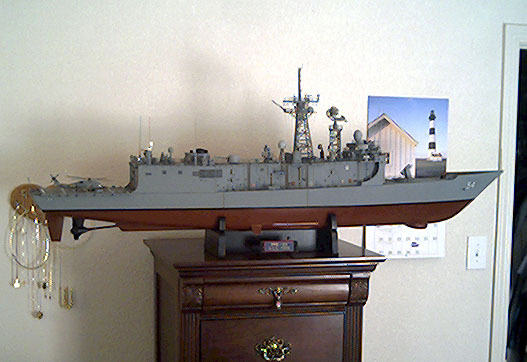 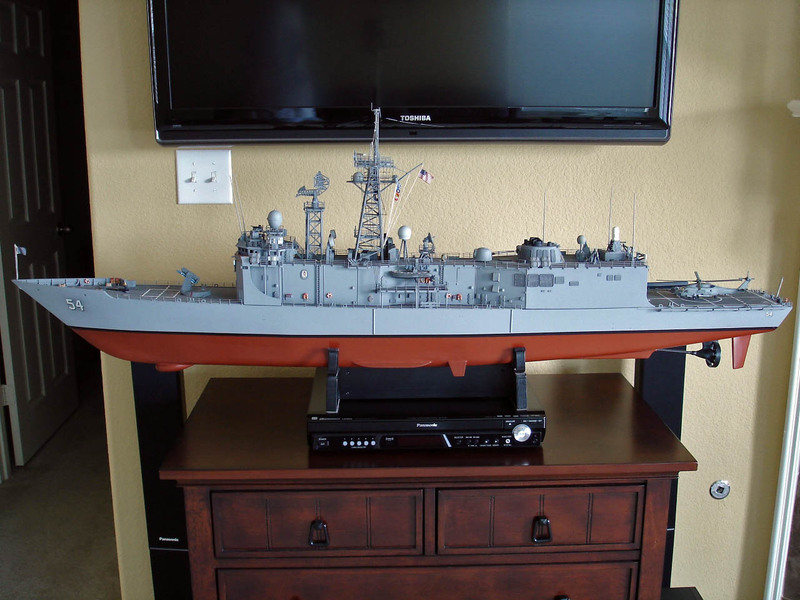 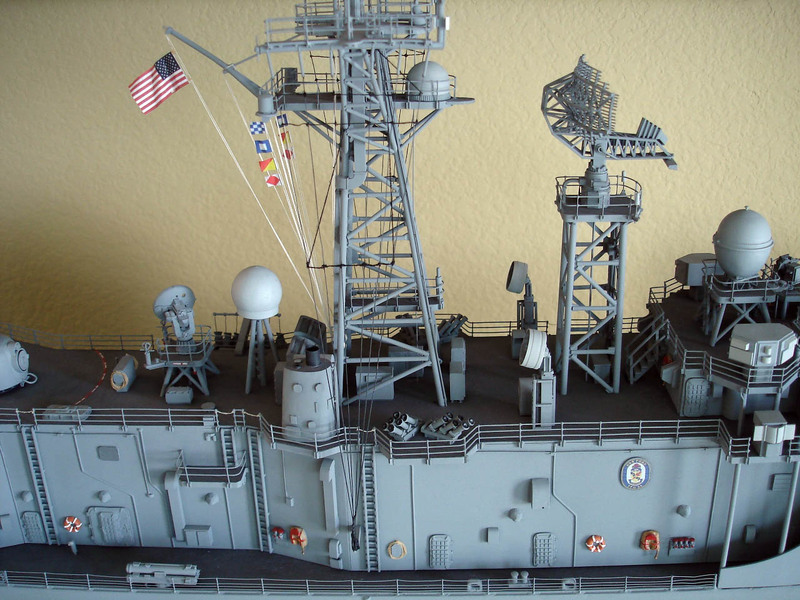 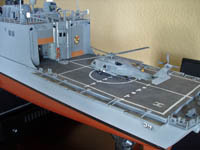 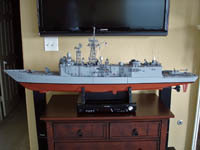 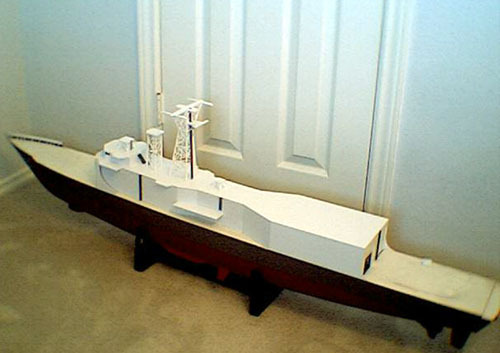 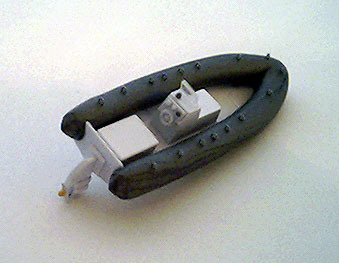 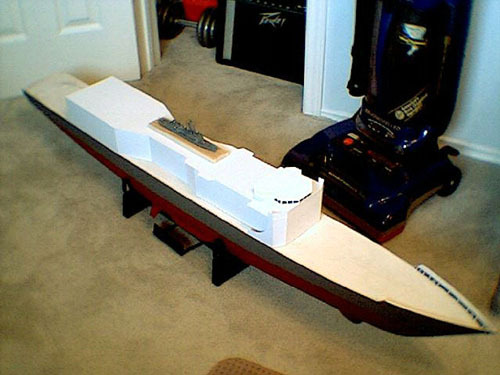 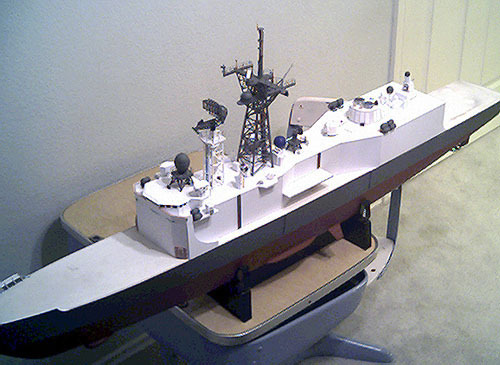 Don started with a Scale Shipyard hull, and scratchbuilt the rest of the model. 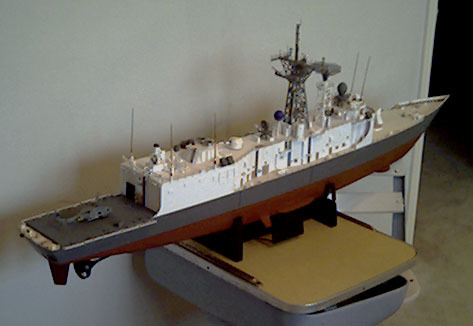 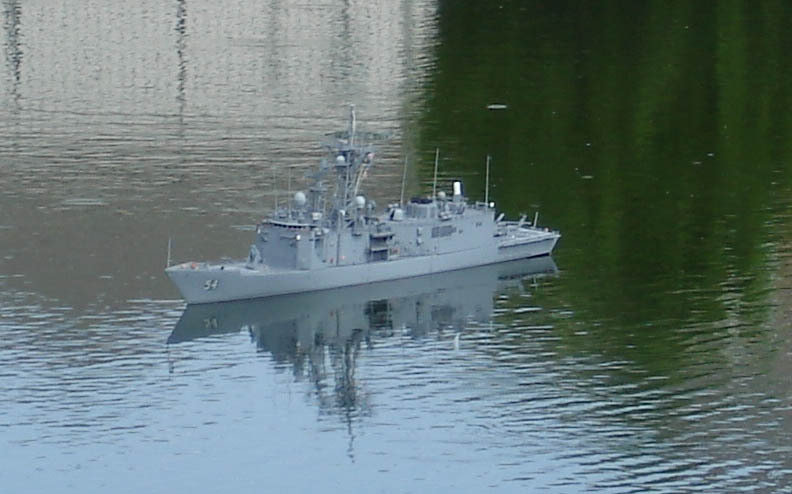 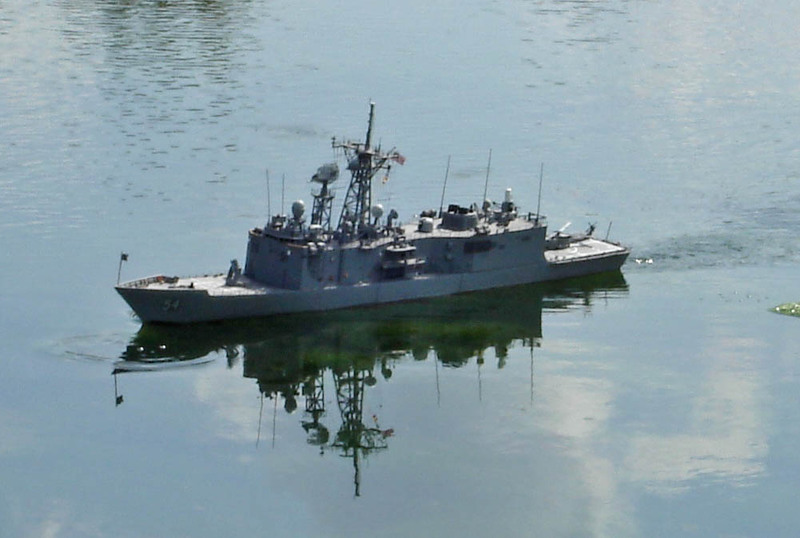 USS Yancey AKA-93 by Ken Groom. 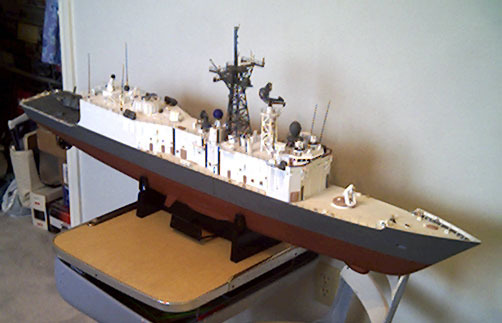 This ship was a participant in the Admiral Byrd expedition to Antartic called "Operation Hijump" She was scratchbuilt by Ken.